After running into fierce opposition from the Federal Communications Commission and the Department of Justice AT&T has agreed to end their 9 month bid to acquire T-Mobile USA. The acquisition attempt, which began in March of this year was met by opposition from the government which has ultimately ended in the collapse of the $39 billion takeover bid. The telecommunications giant, located in San Antonio, Texas has has announced in a statement that the actions of the government to block the deal does not affect the challenges of the wireless phone industry in any way stating that additional spectrum is still required in order for expansion to occur. AT&T continued in their statement, stressing that the wireless industry is one of the most competitive industries in the world and they would continue to be aggressive in leading the mobile internet revolution while applying pressure on the government to quickly approve its purchase of unused spectrum from Qualcomm Inc. The company has also called for the government to come up with legislation to meet the nations long term requirements. On reflection of the fall through, to meet considerations due to Deutsche Telekom, AT&T will also recognize a pretax accounting charge of $4 billion in the final quarter of this year and will also enter into a mutually beneficial roaming agreement with Deutsche Telekom, the parent company of T-Mobile USA. If the merger was allowed to go through, it would have made AT&T the largest cellphone company in the U.S. with T-Mobile USA currently being the fourth largest. However, the United States Justice Department took legal steps to block the merger on August 31 citing that the combining of the two networks would reduce industry competition and result in higher prices for consumers. Speculation has also been surrounding the deal, with the collapse expected after the companies withdrew their application to the Federal Communications Commission after its chairman also publicly opposed the deal. 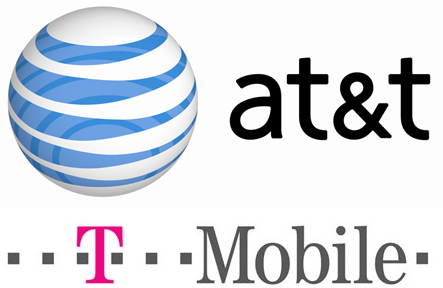 It is unknown whether or not the merger of the two companies would have resulted in higher prices as feared by the Justice Department, but AT&T are extremely keen to reiterate their belief that the purchase would have offered an interim solution to the current spectrum shortage and that customers will now be harmed, with any further investment being stifled. Shares of AT&T (NYSE:T) are down by less than 1% in the aftermath of the news, with Sprint (NYSE:S) shares rising 7% and Dish Network (DISH) shares also rising. Appleberry is indeed expensive, guys dont use it. I suggest just google atttiphoneuunloockiing, I personally think it’s better, we are the fastest ՍΝᏞΟᏟΚing site I have ever use.